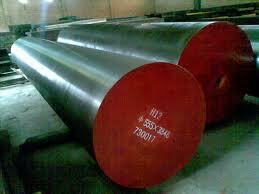 What Do We Mean When We Say Alloy Steel? Steel is classified as an alloy steel when the maximum content of manganese exceeds 1.65%; silicon exceeds 0.5%; copper exceeds 0.6%, or in which a definite range or minimum quantity of the following elements are specified:aluminum, boron, chromium (up to 3.99%), cobalt, columbium, molybdenum, nickel, titanium, tungsten, vanadium, zirconium. These elements alter the steel’s response to heat treatment, resulting in a wide range of possible microstructures and mechanical properties. Alloying elements are always metallic- thus sulfur, phosphorus, carbon and nitrogen are NOT alloying elements. Alloying elements are added to the steel for the purpose of increasing resistance to corrosion or chemical attack, improve hardness, improve hardenability, or to alter strength. While the carbon content of steel is the best predictor of its properties, alloying elements are the ingredients that give a particular composition its own particular set of properties. Alloying elements typically do not alter the properties of the steel until heat treated. So if someone is purchasing alloy steel and the application does not call for a heat treatment, further inquiry into why they are paying extra for alloy steel is in order. This entry was posted on Monday, October 10th, 2011 at 1:58 pm and is filed under Uncategorized. You can follow any responses to this entry through the RSS 2.0 feed. You can leave a response, or trackback from your own site.